Job Hunters, if you are looking for the newest government job in the Gujarat Public Service Commission then you are at the correct place because here, in this article, we are going provide all the detailed information about the GPSC State Tax Inspector Recruitment 2018 in the below description of the post. This is a good opportunity for those contenders who want to build their career glowing in the Gujarat Public Service Commission. All the interested aspirants must read this post and grab all the full details from here. 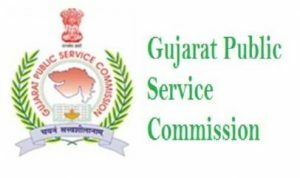 Candidates may apply online for this GPSC State Tax Inspector Recruitment 2018 from the official portal of the Gujarat Public Service Commission i.e. www.gpsc.gujarat.gov.in. Moreover details, you must visit our careerjobs360 official web page and stay in touch with us for further reference. The Gujarat Public Service Commission has discharged the employment bulletin for the Gujarat PSC Notification 2018 to hire eligible and skilled candidates for 200 numbers of State Tax Inspector posts in the department. The GPSC department is looking for the eligible and talented aspirants for the vacant posts. Job Seekers who are seeking for the job in Gujarat Public Service Commission from a very long time then they don’t miss this opportunity and may apply for this GPSC State Tax Inspector Recruitment 2018 from the official website of the department. The interested aspirants may fill the application form on or before the closing date which is 30th October 2018. Moreover, the essential details regarding the GPSC State Tax Inspector Jobs 2018 such as Academic Qualification, Age Limit, Age Relaxation, Selection Process, Application Fees, Pay Scale, Key Dates and How to apply etc in the below sections of this article. Educational Qualification: Aspirants must have done Any Bachelor’s degree from a recognized university or institutions. For more details, you can check the official bulletin of the recruitment. Age Relaxation: The relaxation in age will be given only to reserved category as per the norms of the government. Application Fees: General & OBC aspirants must have to pay Rs. 100/- as an application form fees. No application form fees for SC/ST Category. Selection Procedure: The aspirants will be selected on the basis of their performance in the following selection rounds which is going to be organized by Gujarat PSC. Salary Scale: The selected aspirants will get an attractive amount of monthly salary of Rs.38,090 (Fix Pay) for 5 years. Rs.39,600-1,26,600 Paymatrix level No.7 -Rs.39,600- 1,26,600. How to Apply for the GPSC State Tax Inspector Recruitment 2018? Initially, willing aspirants must visit the official portal of Gujarat Public Service Commission i.e. gpsc.gujarat.gov.in. Then, go through the career section on the homepage & search out the Gujarat State Tax Inspector Recruitment 2018 Notification Link. After that, click on the notification link and open it in the next web page. Now, read all the instruction very attentively which is given in the official notification. If you are eligible then click on the apply online option. After that, fill all the correct details in the Application Form. Attach all the required documents with the application. Upload passport size photograph and signature on the application form. Deposit the application form fee. At last, take the printout copy of the application form and click on the submit tab option and submit the application form. In the above description of the article, we mentioned all the details about the GPSC State Tax Inspector Recruitment 2018. All the interested and eligible contenders must read this article and then apply online for this recruitment from the official website of the Gujarat PSC department. If you face any problem then you can leave a comment in the query box & then we will reply your question as soon as possible.